With that being said, I have found the best ice cream I have ever tasted in my entire life. Now all to this point, MILK had been the trendy ice cream parlor to go to in LA. Although I love those ice cream macarons with all my heart, I have found a new object of affection. 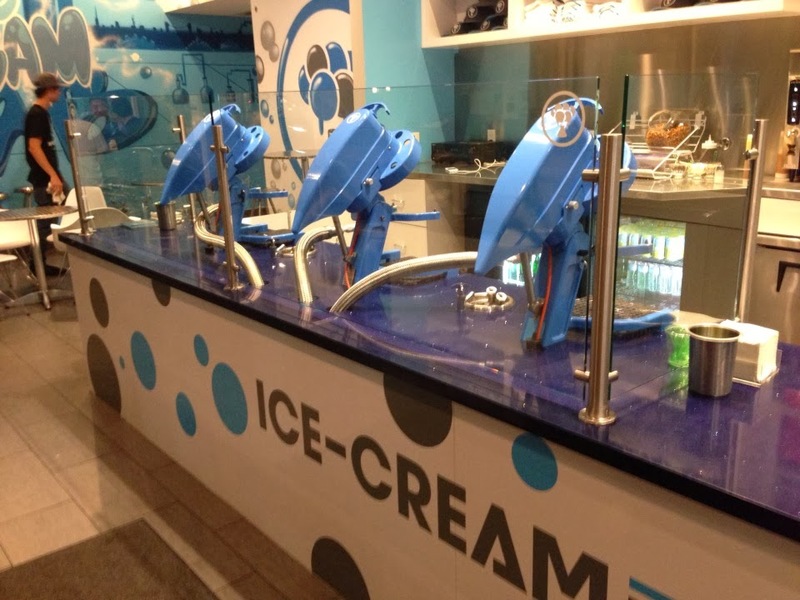 Opening just last year, the Ice Cream Lab has become one of the best things to come out of 2013. The Ice Cream Lab in Beverly Hills is absolutely a mouthful of happiness. Words cannot properly describe the euphoric sensations you will feel once that milky nitrogen ice hits your taste buds. I've tried most of the menu which boasts distinct flavors, but the shining star of the bunch is definitely the blue velvet. 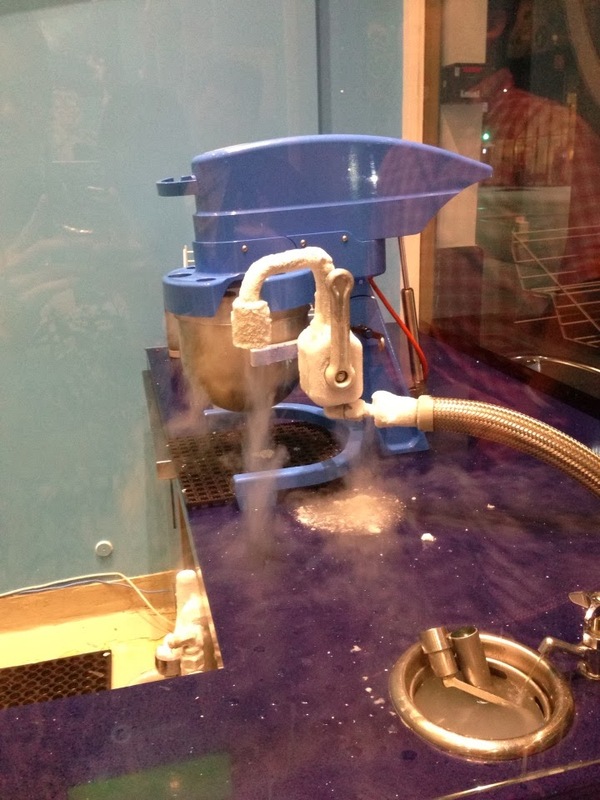 Ice Cream Lab concocts ice cream using liquid nitrogen to freeze natural ingredients into heavenly goodness. It's also really cool how they make the batches right in front of your eyes so it adds even more to an all around great food experience. For you haters out there who think, "Ice cream is ice cream, we all scream for ice cream, so what difference can Ice Cream Lab really provide aside from your neighborhood ice cream truck?" I say to you all: You will scream! I cracked my new iPhone 5 screen...after only 2 months of using it. I lost my ID and debit card. I lost my ID again. I lost my debit card again. I got into my first car accident...I went the wrong way on a one-way street, attempted to make a sharp U-turn, and smashed into the field gates of an elementary school. ...This was all just in the span of January '13...and then further down the road of 2013 more problems accumulated, but at the end of the year I still remained to reflect on the positives in spite of it all. On that note, you and I may have had our drawbacks in the past year (ups and downs, thick and thin, rain and shine), what remained constant was knowing the little things in life were worth holding on to. Little things like ice cream. 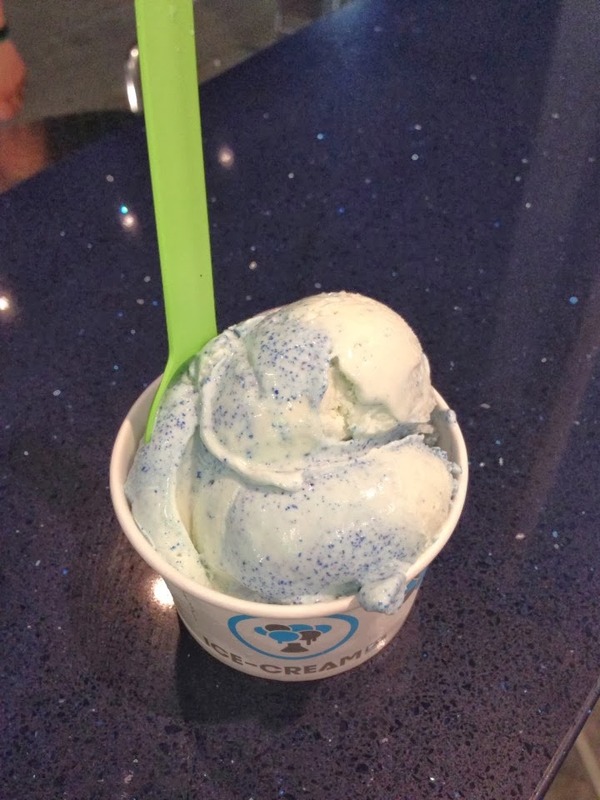 Ice Cream Lab's menu changes seasonally, the blue velvet will always stick around so go reward yourself with 5 ounces of the #1 ice cream for achieving all your goals for 2013! But if you are on the same boat as me in keeping resolutions and not updating your blog in a timely manner, then...go ahead and order the 16 ounce size because hopefully the awesomeness of the ice cream will inspire you to have a great start in 2014! We’re bringing their annual restaurant awards to the US that are judged solely by a panel of local food bloggers (all online). The winning restaurants get a framed 2014 award and the food bloggers get an “official judge” icon/etc and related PR for their blog. We’re looking for bloggers from the Southern California area to invite as an official judge. Is this something that you would be interested in? My direct contact is awards_losangeles@tabelog.us.